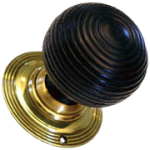 Our Ebonised Wooden Door Knobs are not only high quality but are almost exact replica's of the originals they were modelled from. 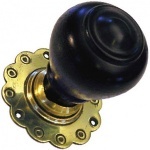 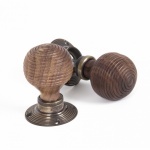 We use teak for our ebonised knobs, it has excellent turning properties, which is then stained and then ebonised to produce a rich black finish. 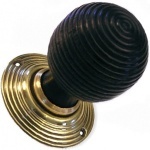 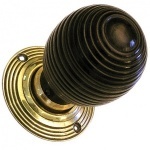 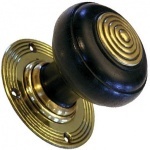 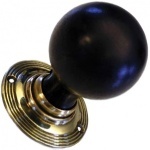 Our Solid Ebony door knobs are turned from solid ebony. 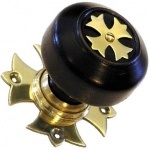 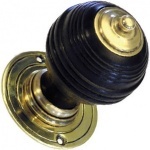 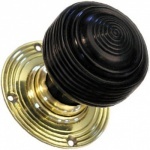 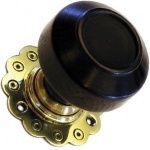 Available with brass or nickel backplates, they are sold as a pair and come complete with spindles. 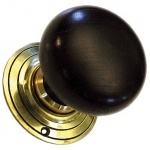 Most of our period door furniture is available for next day delivery.